It’s always instructive to go back and see how wines have fared several years after their original release. Two thousand five is remembered as a variable vintage in Tuscany. How are the wines today? In my June 2008 article Tuscany: The Best of 2005 and 2006, I wrote that “In general the 2005s from Tuscany are smaller scaled wines, with pretty aromatics and vibrant fruit, but without the layered, structured personalities that made the 2004s so compelling. The best of these are relatively accessible, medium-bodied wines that can be enjoyed today or cellared for the mid-term.” That has certainly turned out to be the case with the wines in this article. Two thousand and five started off with a wet winter and early summer. Heat arrived in July, but temperatures cooled down again in August. Still, growers were optimistic heading into the final phase of ripening. Hail and rain in late August and early September, including rain during the harvest, lowered the potential quality of the harvest dramatically. Of course, Tuscany is a large region, so results vary considerably from village to village and estate to estate. In general, 2005 has turned out to be an intermediary vintage sandwiched between 2004 and 2006, both of which are far stronger. 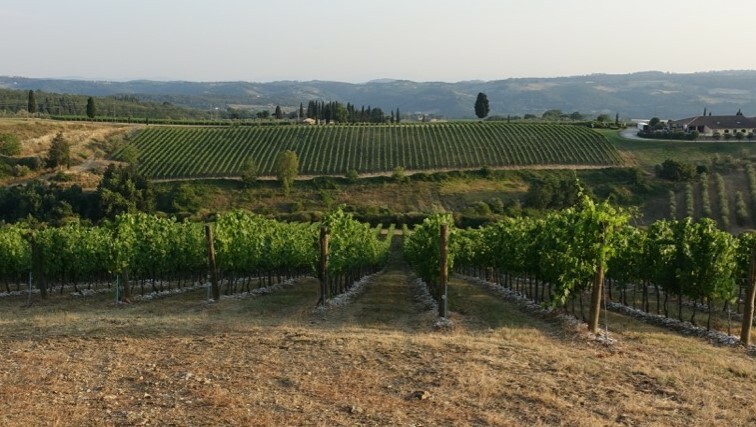 The Tuscan Coast fared better than cooler, inland areas, Chianti Classico in particular, where a number of producers did not bottle all of their top selections, including Castello di Ama, Fontodi and Montevertine. In the years since I published my original reviews, the Sangiovese-based wines of Chianti Classico have developed the wild, gamy notes that are typical of Sangiovese as it matures. Only a few 2005s are going to improve in the cellar, making this an ideal vintage to drink today and over the medium-term. For this article, the first in a series of vintage retrospectives focusing on Tuscany, I tasted a number of reference-point wines in Chianti Classico and Maremma. Brunello di Montalcino will be covered in a forthcoming article.